Hopefully your New Year’s resolutions are still alive and kicking. And for you, Dry January voyagers, well done. We tip our cap to you. We’ve got some adventurous goals of our own this year. We don’t expect to change the world in one trip around the sun. But we want to make sure the stepping stones are ambitious so that each trip is even better than the last. And we want to take you with us. We want you to see the top of that epic mountain — a business which isn’t just (re)generating tons of positive impact from soil to skin, but also inspiring other businesses to also be more bold. The bigger the mountain, the better the payoff, right? So with this list in 2019, we’ll give you a glimpse of where we’re headed even if we’re still figuring out exactly which path to take and which gear will best get us there (even if we have to double back every now and then). 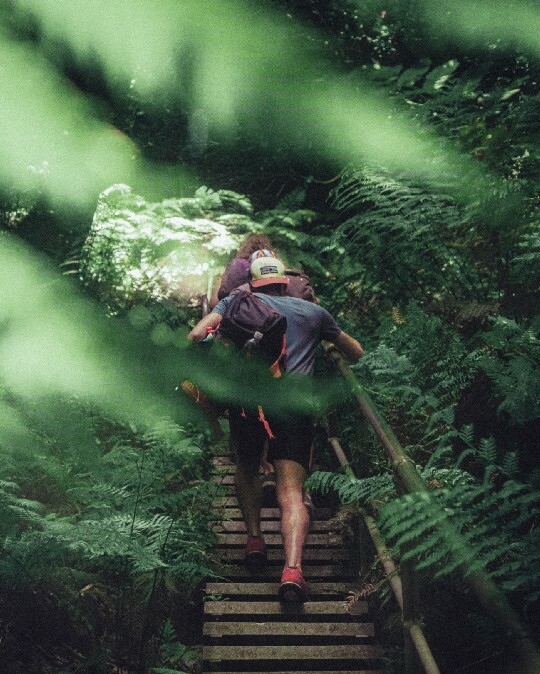 Because as we climb and as we get closer to where we want to be, we want to keep getting better at delivering all natural skincare that helps you look and live healthier, while leaving things better every step of the way. Our plants and our natural formulas are always crafted to address specific issues your active life causes for your skin. That means when you speak, we listen. And then get to work. This year, you’ll get to see (and feel) more of that hard work. We’ve got some new products heading on up from Costa Rica and we’re pretty excited for you to meet them. So make a little space on your shelf because you’re about to have even more options for affordable and high performance natural skincare. We think reducing negative impact is great. We also think we can strive for better. For us, that means doing even more with our regenerative business model. Where we are headed, growing a business is good for everyone, especially our farmers. They’re on the cutting edge, restoring degraded soils and making sure the nutritious dirt does the same for our potent plants. That way, the plant oils in your Thrive are full of all that plant power. This year we’ll continue to invest in our farmers’ livelihoods, so that they will have improved by at least 50% compared to when we began working with them. And with our Fierrillo and Juanilama — you know, those potent plants unique to Thrive products — we’re working hard with our rural farmer partners to make them more potent and more affordable. That means getting even more creative with our partnerships and our regenerative farming practices. We’re also doubling down on more of that plant power you can’t find elsewhere. We’re already hard at work this year developing new Costa Rican super plants, so your skin looks even better and you live even healthier. Improving the health of our soil. Increasing the biodiversity of that land. Using packaging that also “leaves things better.” Collaborating with the similarly ambitious. All this, so that eventually regenerative simply becomes the way business is done. We walk the line between “no compromise” and being scrappy entrepreneurs. It’s not as contradictory as it sounds. We have certain values that we don’t walk away from. Natural and effective. Affordable and healthy. Leaving things better. Entrepreneurs and farmers and biologists and scientists — we’ve gathered together a bunch of crazy passionate people to make it all happen. We’re proud to be experts in many different areas, but that doesn’t mean we expect to be perfect or that we won’t experience bumps in the road. What we do expect is to keep aiming high, to keep learning, and to keep asking ourselves how we can be better from seed to skin. Building a new model for business, from the ground up, isn’t easy. But we know that if we’re not having fun, we’re not doing it right. It also helps us keep things in perspective if we stumble along the way; we’ll be honest with you if things don’t go so well. And, of course, we’re also gonna make sure you hear about the wins, whether it’s happy news from Costa Rica or from our office in San Francisco. Or even an adventurous story from some of your fellow Thrive customers. If there is a reason to celebrate, we’re not going to be shy about it. Either way, it’s a long road to get to where we want to be. The top of our mountain is a new peak for skincare and for business. We want to help you look and live healthier. And along the way inspire other businesses to get after it, too. While we’ve got a ways to go, we’re well on our way to leaving things better than we found them. So we’re gonna enjoy the journey and are excited to have you along for the ride. We’re here to help you level up your winter skincare routine so that your wintery adventures, or even your urban commute, don’t wreak havoc on your skin.